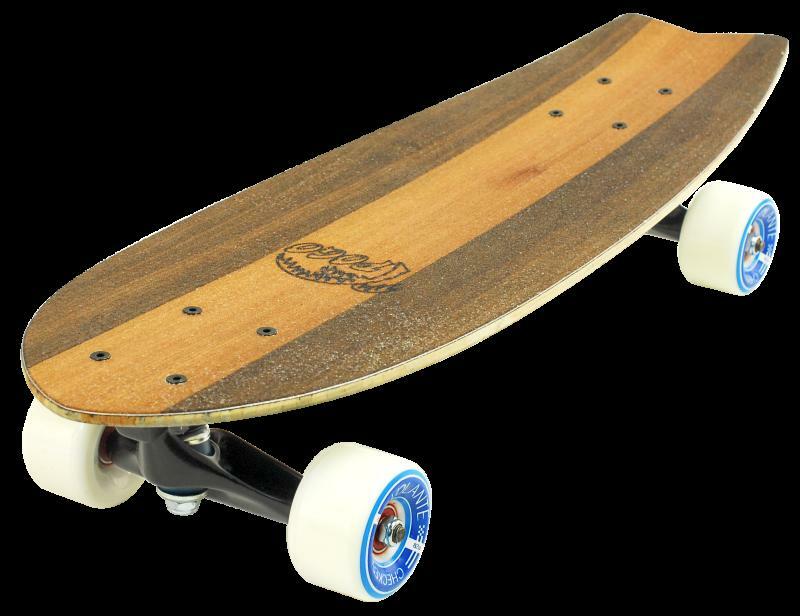 New POGO Mini-Cruiser model coming up. The fly is 67cm long and the perfect board to take along any time and anywhere. The lightweight construction is completed by a topside veneer that turns the board into an extraordinary eyecatcher while the grip varnish holds your feet in position. I am really happy that there is finally a cruiser like this. It's really a rare thing to find something like this, so I think Pogo can yell "Bingo" right now.